A native of central Delaware, Michael began his career in the hospitality industry at the Delaware beaches. Throughout his years in the industry, he has spent time in a variety of positions ranging from dishwasher to General Manager. Prior to coming to Harrington Raceway and Casino, Michael served as the General Manager of the popular Ruddertowne complex in Dewey Beach, DE. 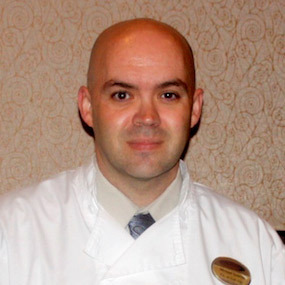 Over the years, Michael has worked with a wide array of talented chefs, caterers, event planners, and management teams. Always striving to learn and improve his skills, Michael has spent countless hours learning from his peers and mentors while refining his cooking, hospitality and customer service skills. He cites some of his most influential times as those spent working with then industry consultant, Hank Rosenberg, who is presently Harrington Raceway and Casino’s COO of Hospitality, as well as Scott Kammerer of Highwater Management and So Del Concepts. When the chance arose to return close to home and apply his years of knowledge with the talented team at Harrington, he leapt at the opportunity. From cooking in the casino’s various eateries to putting on custom VIP events, Michael strives daily to bring the best experience possible to all guests throughout the casino.